My son is one of those boys who can easily get sucked into a toy phase with just the right toy. At first it was Thomas the Train, then Cars next Mario, Batman and he also had a phase with the Hexbug toys. Now if you remember a couple years back was the first time we were introduced to Hexbug and did a review on the Hexbug Nano. My son absolutely loved those little bugs and still plays with them often. 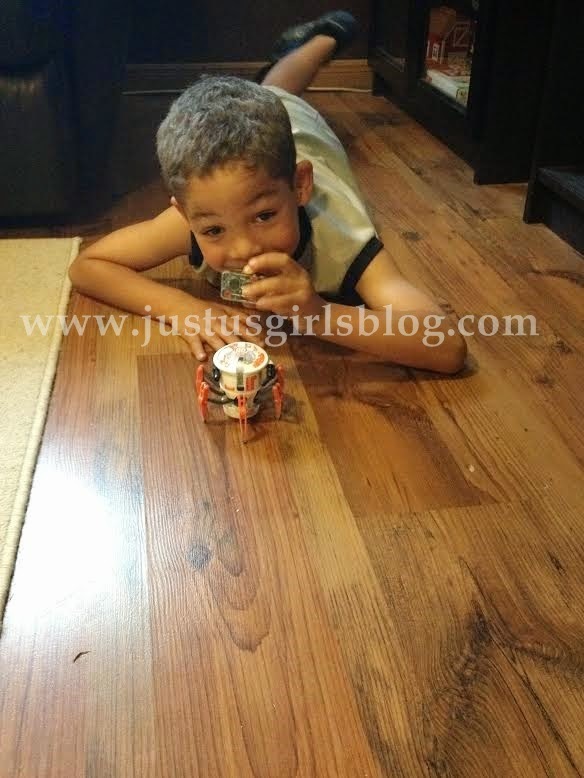 Fast forward two years later and he not only has a few of the Nano's in his Hexbug collection but, he also has the Hexbug Scarab he got last year and still plays with them both til this day. That's one thing I can say about my son, when he gets into a phase with a toy, it lasts for a while. A few weeks ago, we were sent the latest from the Hexbug family, the Hexbug Battle Spider. Now what I find cool about this spider is that it came with a remote control so that you can easily move it around and this six legged spider has a full 360 degree steering feature. Not only can you move this spider around the house, but you can even play laser tag with a friend if you have another spider. It's pretty awesome because each spider has a laser shooter and an indicator on the top of their head. So each time a spider is hit with another's laser, that spider's life will decrease and once the spider hits zero, it stops like it's dead for a few seconds. The remove control also has a two channel maneuver where the bugs can move independently or at the same time. Once we realized that it would be so much more fun playing with a friend, I'm excited to get another spider for my daughter so the kids can battle together and play when friends. 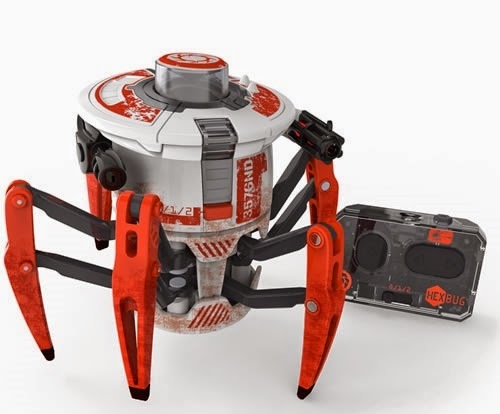 The Hexbug Battle Spider is retailed at $34.95 and you can find it at your local Mastermind Toys or you can even visit their website to order as they ship to both US and Canada. If you have little ones that are fans of the Hexbug family, they will definitely enjoy the Battle Spider! Disclosure: All opinions are my own. I received Hexbug Battle Spider at no cost for the purpose of this review. No other compensation was received.